What products could be used as Waste Oil? Examples of products, after use that could be labelled as Waste Oil, could be: Motor Oil, Hydraulic Oil, Synthetic Oil, Brake Fluids, Transmission and grades 1,2,4 and 4 Fuel Oil, amongst others. Storing Waste Oil. If you are looking to use and store the waste oil on site then you must store it in a container / tank. The storage tank must be clearly labelled as a waste oil tank, as are all Tuffa Waste Oil tanks, and there must be a spill prevention plan. Here at Tuffa, we have a range of both Plastic and Steel tank options. We have a large range of steel tanks that can be manufactured to order from as little as 100 litres up to 200,000 litres. 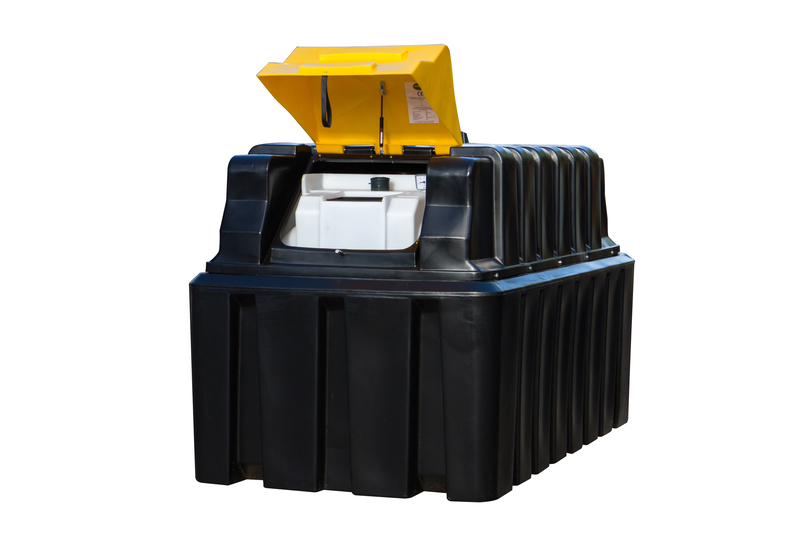 Our plastic waste oil tanks are manufactured for a medium density polyethylene and the available sizes are 1350 litres up to 15000 litres in a single unit (tanks can be interlinked to obtain much larger capacities where required). What Sites require Waste Oil Storage? A Tuffa Waste Oil Tank would benefit businesses in a variety of sectors including the motoring industry such as Garages, Bus Depots and Haulage companies. There are also a number of waste oil banks all around the country that will already have waste oil storage for the public to make use of. You can find your nearest one on the Oil Bank Line website: http://www.oilbankline.org.uk/.